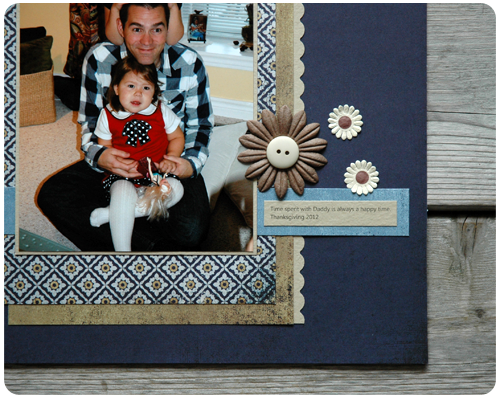 Today I am over at The Memory Nest sharing this layout that I made for the Sketch Challenge. 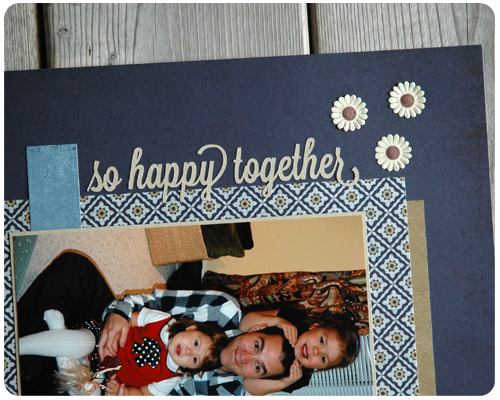 The paper I used for this layout is Granola by Basic Grey. The brown flower is from Bazzill and the button in the center is from a large jar of buttons I have on my craft table. The small cream flowers are from Making Memories. The biggest challenge for me in following this sketch was to keep my title turned on its side. I normally put my title at either the top or the bottom of my page, so putting the title on its side was a bit of a departure from my usual style. But doing something differently is not at all bad - one of the greatest benefits of sketches, in my opinion, is that they encourage you to do so. A title on its side...I like it. 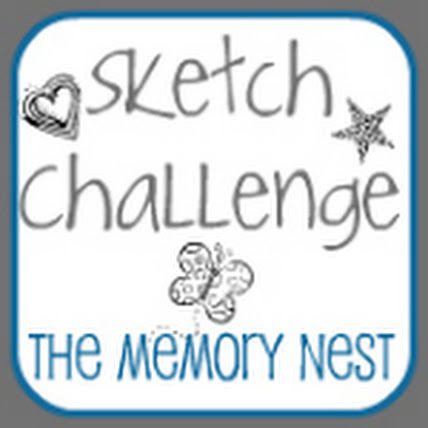 I invite you to visit The Memory Nest to see the layouts that others made for the Sketch Challenge It is always inspiring to see how differently people interpret a sketch and create from it. This is super cute ... I love the daisy embellishments! Thanks Lanaya. I was so happy to find the daisies in my stash...they coordinate so well.